How To Go Bankrupt In Scotland? Wondering how to go bankrupt in Scotland? This guide cover all aspects of Scottish bankruptcy, including how much it costs, where to apply and answers questions like "if you go bankrupt in Scotland how long does it last?" We also discuss the consequences of sequestration in Scotland, such as what will happen to your home or your car. We detail the sequestration process and criteria and you can check if you qualify to go bankrupt, and the effects it will have. The formal name for bankruptcy is actually Sequestration in Scotland. Like the name, the process of going bankrupt in Scotland is different than in the rest of the UK. Bankruptcy starts when someone in debt, applies for bankruptcy through a money adviser to the AIB Scotland (Accountant in Bankruptcy), or is declared bankrupt by one of their creditors through a Sheriff Court. The creditors are the people or organisations who are owed money by the debtor. Subject to certain conditions, a creditor can apply to a sheriff to make a debtor bankrupt or a debtor can apply to the Accountant in Bankruptcy to make themselves bankrupt. Step 1: Check you qualify to go bankrupt. Step 2: Make sure bankruptcy is the right option for you. Step 3: Receive a Certificate for Sequestration. Step 4: Complete your Debtor Application Pack & Moratorium. Step 5: Get the sequestration fee together. Step 6: Apply to the Accountant in Bankruptcy (AIB). Step 7: You are declared bankrupt. If you live in Scotland and you have over £3000 of unsecured personal debts that you are struggling to pay back, then bankruptcy (sequestation) is a debt solution that can help you to write off debt that you can not afford to pay back. You most owe more than £3000. You must live in Scotland or have lived in Scotland during the last 12 months. You must not have gone bankrupt before during the last 5 years. If you are on a low income or get benefits, and your debts are less than £17,000 then you should check if you can get a Minimal Assets Process (Bankruptcy), as it only costs £90 to apply. Contact a Money Advisor to check you qualify and their are no alternatives to bankruptcy more suited to your situation. They must sign your bankruptcy application forms to say that they have given you advice about your situation. Our bankruptcy experts can quickly advise you on what to do if you are considering going bankrupt. Simply call the team FREE on 0800 368 8133. As the Accountant In Bankruptcy states: "The consequences of bankruptcy are severe and no one should make an application for bankruptcy without being fully aware of the alternatives and seeking advice at an early stage." Even if you are sure bankruptcy is your best or even only option. Making yourself bankrupt is a big step to take and is huge decision to get wrong. Make sure you get advice from a money advisor. We often get calls from people who regret submitting their bankruptcy application and it can be very costly to reverse the process once the application has been submitted. Before you decide to go bankrupt, you need to consider all the possible ways you could deal with your debt problem. This will include taking into account the total amount you owe, your income, whether you can reapy anything towards your debts, your age and health, what will happen to your house, car and other assets etc. If you haven't already received advice from us and are considering how to go bankrupt, you can use our online bankruptcy test tool, which will provide you with a free and confidential assessment of whether you qualify for bankruptcy and what impact it will have on your current situation. We'll also send you our "Free Guide to Bankruptcy" by email. Once your advisor has confirmed that bankruptcy is your best option, they will issue a Certificate for Sequestration. You can not apply to go bankrupt without a valid certificate. Once you have been granted your Certificate for Sequestration, your advisor will help you to complete your debtor application pack and if necessary complete a Moratorium. A Moratorium gives you a six week period of debt relief during which creditors cannot take any action against you for debts you owe them. So if you are concerned about what your creditors could do whilst your bankruptcy application is going through, you can request a moratorium. The fee to submit your bankruptcy application is £200. There are no reductions or exemptions from paying this. Once you have completed your paperwork, and got your bankruptcy fees together, you advisor can submit your application to the Accountant in Bankruptcy (AIB). Once they have received your application, they will aim to process it within 5 working days. If the Accountant in Bankruptcy accepts your bankruptcy application, you’ll be officially bankrupt. Your details will then be added to the scottish bankruptcies list at the Register of Insolvencies (ROI) . Check If You Qualify For Bankruptcy? Our specialists can quickly advise you if you qualify to go bankrupt, or what alternatives are available to you. Simply call the team FREE on 0800 368 8133. Once you are declared bankrupt, your assets transfer to the trustee. This means your money, your home or property, vehicles, jewellery and any thing you may be owed bby other people. Certain things are not classed as an asset in bankruptcy, this includes clothing, furniture and other household goods. Items that you need to earn a living may also be excluded, such as tools or computer equipment, up to a total of £1000. You may also be allowed to keep a car or vehicle up to the value of £3000, if it is needed for work. When you apply to go bankrupt in Scotland, the Accountant in Bankruptcy (AIB) will check how much you earn and how much you need to spend each month in order to pay for your living costs, food, bills, housing etc. If they calculate that you have spare money after paying your essential bills then they will expect you to pay the difference each month towards the cost of your bankruptcy and to repay your debts. This is called a ‘debtor contribution order’ (DCO). "So if I go bankrupt, I still have to pay towards my debts each month?" YES, most people think that when they go bankrupt, that is it, but if the AIB calculates you can afford to pay back something each month they will issue a ‘debtor contribution order’ (DCO). A DCO will usually last for four years. If you own your home, it may be sold by the trustee, but it depends on if it has any equity in it. i.e. the value of the house less any mortgage or secured loans. If you own the house with your partner, they must agree to the sale. If you have children that live in the family home, you must agree to allow the sale of your home in bankruptcy. If you do not agree to the sale, the trustee in bankruptcy will apply to the sheriff court for a court order to allow the sale. If an application for sale is made the court may decide to grant the order, refuse to grant the order or postpone the order for sale for up to three years to allow you and your family time to find somewhere else to live. If the property is jointly owned, then the trustee can only claim the bankrupts share of the equity. It is often possible for the joint owner, family member or friends to make an offer to buy the bankrupts share of the property. If there is no equity in the property at the time of bankruptcy, the trustee has no reason to sell the property. But if you are discharged from your bankruptcy and the house remains unsold, it is still classed as an asset and, if house prices rise, it may be sold in the future. The trustee must make a decision on what they are going to do with your home within three years of you going bankrupt. When the trustee is assesing your income and expenditure, they will allow your rent payments. However, a lot of tenancy agreements have a 'irritancy' clause, which allows the landlord to cancel the tenancy if the renter becomes bankrupt. You still have to pay your rent if you go bankrupt, if you do not pay your rent regularly or have rent arrears then your landlord can start eviction proceedings. If you are worried about your home in bankruptcy, you need to contact us for advice. Check what will happen to your home? Take the online test and get your free results NOW online. Once a bankruptcy order is made, any bank or building society accounts you have will usually be frozen immediately for review by the trustee. Your bank will then decide whether or not they will continue to allow you to bank with them. In the event that they don't you can arrange for an alternative bank account that will allow you to continue as usual. Read our guide to Bank Accounts and Bankruptcy to see what will happen to your bank account after you've been declared bankrupt, and a list of the banks that accept bankrupts. 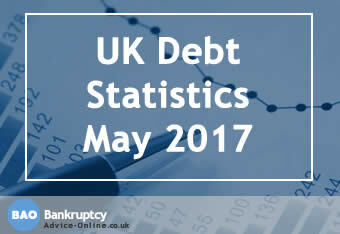 Going Bankrupt in England, Wales or Northern Ireland? Need bankruptcy advice? Our team of experts will send you their answer by email within 1 working hour.